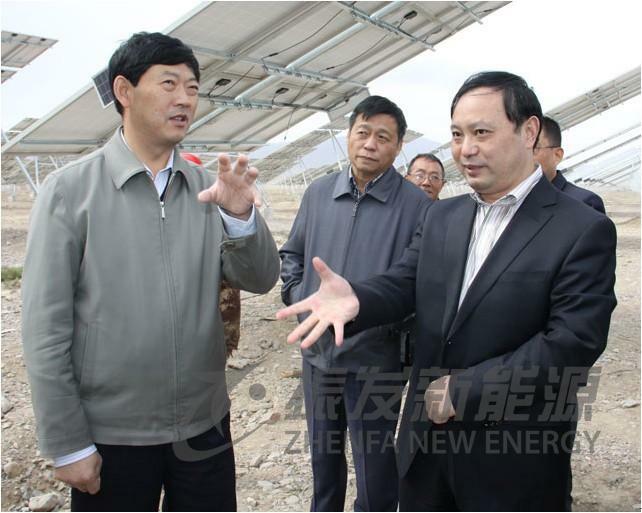 October 6, Jinchang party secretary Zhang Ping visited the biggest solar plants projects which constructed by Zhenfa New Energy Technology Co., Ltd. Mr. Zha, chairman of Zhenfa New Energy personally escorted to the construction site to see the progress of the project. 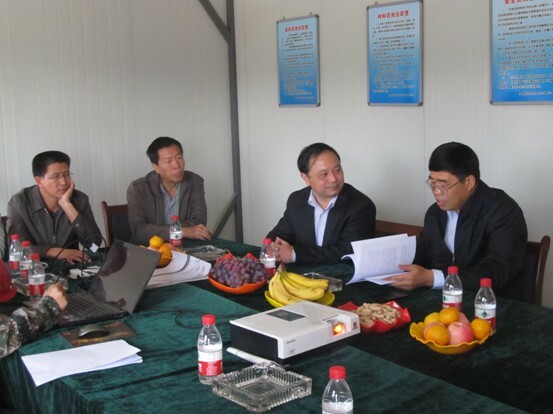 Subsequently, Mr. Zhang listened to the project progress report, Study and solve the difficulties and problems that exist in the project, And pointed out that we must concentrate on solving the park coordinate line, Road-building, to ensure the progress of construction projects, While improving the utilization of park land, Social and ecological benefits must be taken role in the whole process. 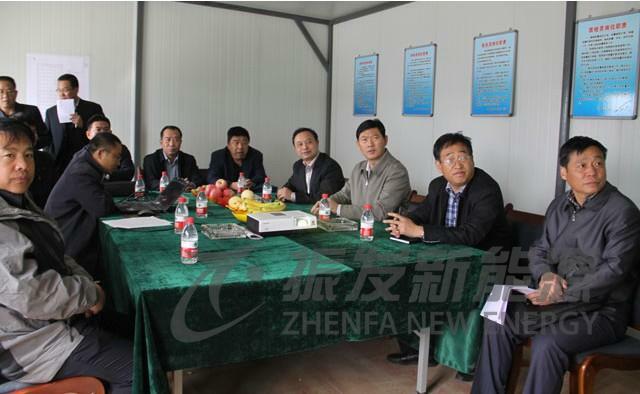 Mr. Zhang hope Zhenfa New Energy can leading scale PV power development in Jinchang. 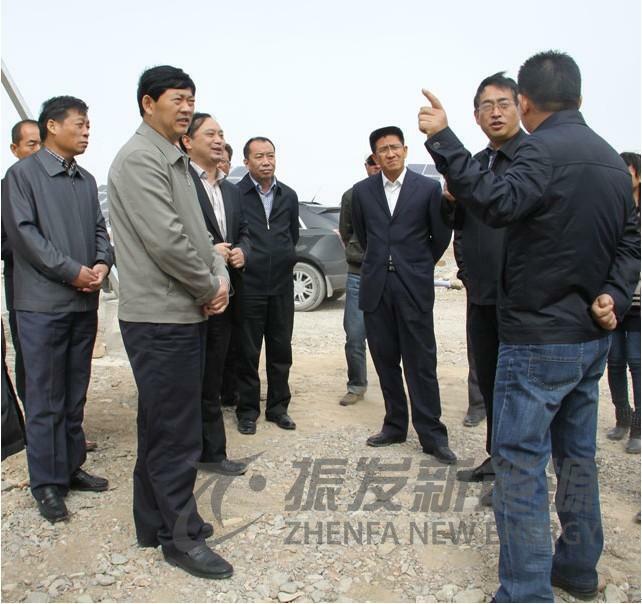 On the morning of May 8, Jinchang City Mayor Zhang Yinghua, Municipal Committee, Deputy Mayor Rong Zhiyuan also came to the PV project construction site. Research to understand the region PV project construction progress, the scene to solve the difficulties and problems that exist in the project. 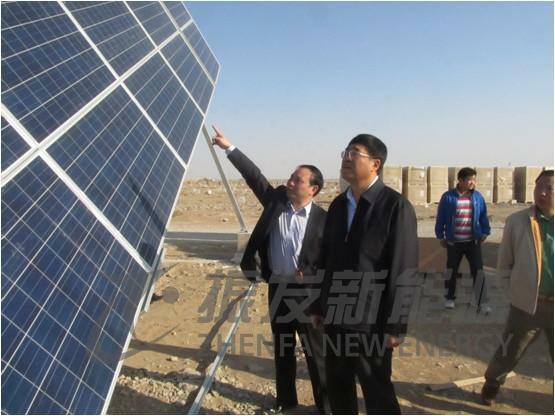 Jinchang Jinchuan District 100 MW PV project with a total investment of about 1.2 billion yuan constructed by Zhenfa New Energy, 700 million yuan investment has been completed. All using the most advanced adaptive tracking PV installations, 30% higher power than fixed PV installations, which Can fully improve energy efficiency, solar panels do not affect land accepted under sunlight. The plant will become the largest adaptive tracking photovoltaic power plant. As the land and the comprehensive development of photovoltaic power generation pilot, the value of land utilization fully reflected. After listening to the progress and difficulties of the project, Zhang Yinghua mayor immediately organize relevant departments on-site office, He asked the authorities to seize power output coordinate and solve problems, Further improve the flood control facilities in the project area, Planning and design of the road leading to the project area as soon as possible, Use the first half of next year for completion. At the same time according to the continued construction of the project progress and post-conditions, adjusted some photovoltaic project indicators to facilitate the company to expand the scale of construction. Chairman also said that the effort to ensure the project completed on schedule to ensure the project runs smoothly, while promoting PV and ecological agriculture combine to play a leading role model, and strive to build China's leading photovoltaic industry park.